Everybody who has tried this moist vanilla-rum cake has loved it. I keep meaning to freeze one loaf for later, but I like to give the people what they want, and more of this cake is what they want! 1. Melt the butter and let cool. Take the eggs out of the fridge to bring to room temperature. 3. In one bowl stir together the flour, baking powder and salt. 4. In another larger bowl measure the sugar. 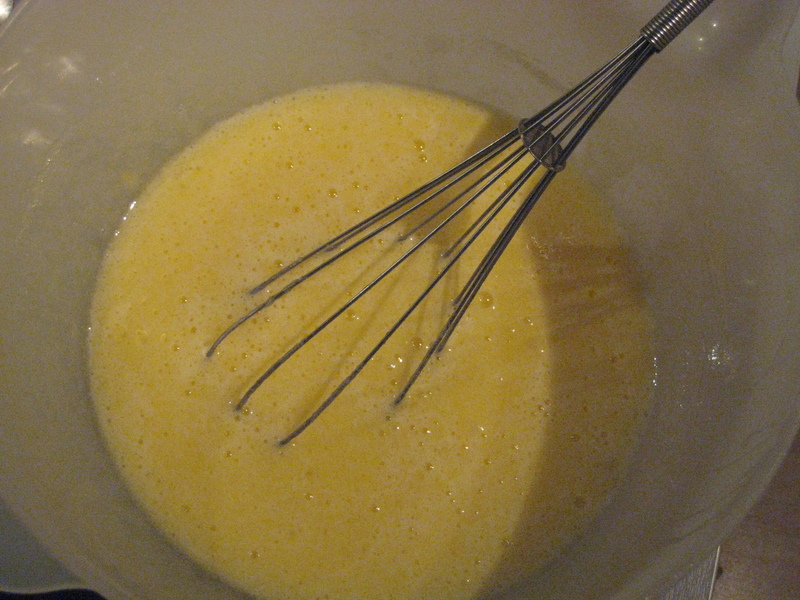 Mix eggs in one at a time with a whisk. Mix in vanilla extract, cream and rum. 5. Add half the flour mixture and stir until just blended, then do the same with the other half. 6. Mix in half the cooled but still liquid butter, then add the rest. 7. Pour the batter into the loaf pans, then place the pans on a baking sheet. 8. Bake for 55 minutes, or until a toothpick inserted into the centre comes out clean. 9. 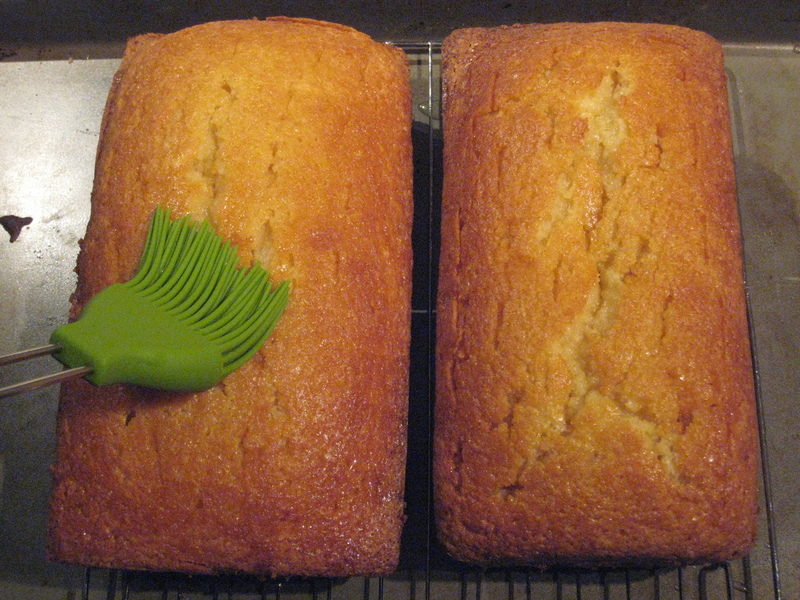 Cool for 5 minutes, then run a sharp knife around the edge to loosen the cakes. Invert the pans, but then place the cakes so their tops are facing up. 10. While the cakes are cooling stir the water and sugar in a pot and bring to a boil. Take off the heat and stir in the rum. 11. Poke holes through the cakes with a sharp knife. 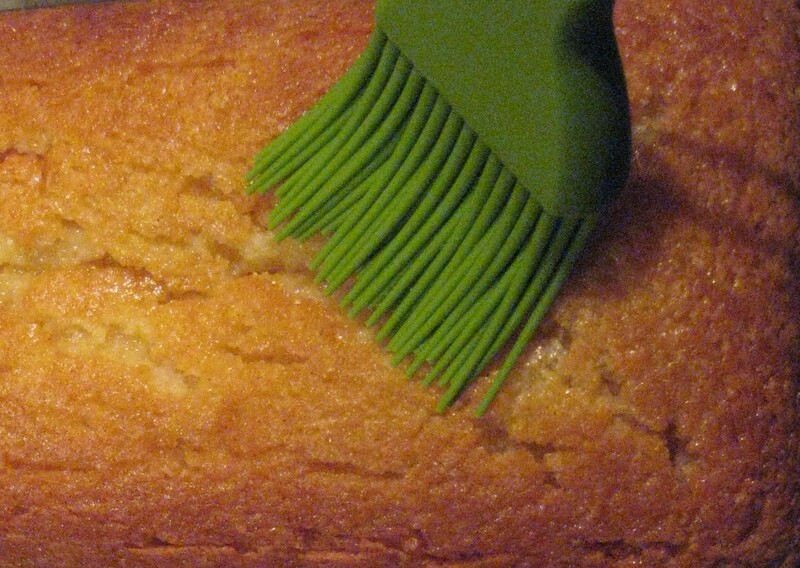 Brush the cakes with the rum syrup until all the syrup has been absorbed. 12. When the cake has cooled, slice and enjoy! Yes, this cake has lots of butter and sugar in it – but it’s cake! I see recipes for whole wheat brownies and prune-based cakes, and maybe they taste great. But if figure: If you want a diet dessert, eat some fruit. Or just eat a piece of cake, savour it, and make sure you’re eating a balanced diet.